Vikings star running back Adrian Peterson revealed that he has been battling an ankle injury for the past three weeks and that he aggravated it Sunday against the New York Giants. The All-Pro limped off the field in the first quarter after taking a hit and fumbling the ball. He then ran for a 67 yard touchdown on the team's next drive. "It feels pretty good," Peterson said. "I’ve been fighting with this ankle injury the past three weeks. Going out on Sundays I take a lot of shots in the legs, so it got twisted up on that play and it was pretty painful." Meanwhile, Vikings coach Brad Childress said there’s only a "small chance" that defensive end Ray Edwards will play Sunday. Edwards injured his left knee last week while making a tackle. Brian Robison will start in his place. Childress said Pro Bowl nose Williams, who has missed the past two games because of a broken right shoulder, is expected to do some work in practice. Williams has said the plan is for him to play. For the Eagles, running back Brian Westbrook was limited in practice today with knee and ankle issues. Tight end L.J. Smith (shoulder) also was limited. Defensive end Victor Abiamiri (foot); guard Shane Andrews (back); linebacker Stewart Bradley (rib, groin); and tackle Jon Runyan (knee) did not participate. Andrews will obviously miss the game as will Abiamiri. Bradley and Runyan are expected to go. Wide receivers Hank Baskett (knee) and Kevin Curtis (calf); safety Brian Dawkins (back) and guard Todd Herremans (shoulder, ankle) were able to participate in all drills. Meanwhile, the NFL granted the Vikings a 24-hour extension on the television blackout deadline. Minnesota now has until 4:30 p.m. (et) Friday to reach a sellout and allow the game to be shown on local Fox affiliate. 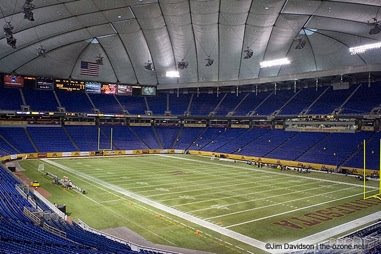 The Vikings announced this morning they had 11,000 tickets remaining for Sunday. Clemons tied a career-high with two sacks, forced a fumble and had a 73-yard fumble-return touchdown in the Eagles’ 44-6 win over Dallas. With the victory, Philadelphia claimed the final NFC playoff berth and will face the Minnesota Vikings this Sunday in an NFC Wild Card game. 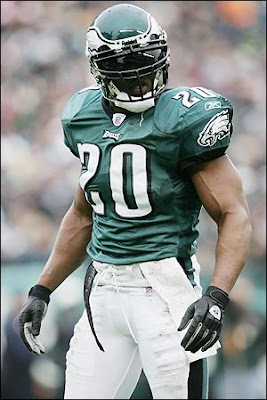 In the third quarter, Eagles safety BRIAN DAWKINS forced the fumble that led to Clemons’ 73-yard fumble-return touchdown, the first score of his career. On the next drive, Dawkins forced another fumble that JOSELIO HANSON picked up and returned 96 yards for a touchdown. It marked the first time in NFL history that a team had two fumble-return touchdowns of at least 70 yards in the same quarter. The last time a team had two fumble-return touchdowns of at least 70 yards in the same game was September 25, 1938 when the Eagles accomplished the feat against the New York Giants (JOE CARTER, 92 yards and BOB PYLMAN, 88 yards). In his fifth year from Georgia, this is Clemons’ first career Player of the Week Award. 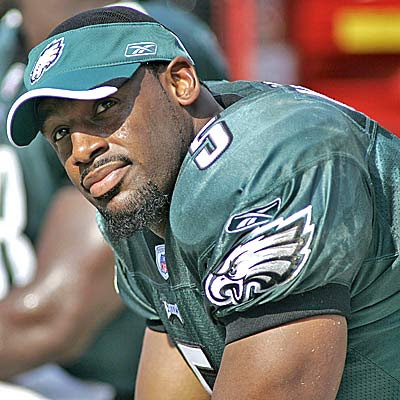 He is the eighth Eagles defensive end to be honored and the first since TRENT COLE (Week 8, 2007). Clemons is the second Eagle to be named Defensive Player of the Week this season (Dawkins, Week 3). Dawkins led a defense that allowed the fewest points (40) in December as the Eagles won three of four games to clinch the final playoff spot in the NFC. Dawkins, who was named to his seventh Pro Bowl, had 36 tackles, one sack, two passes defensed and forced two fumbles which were both returned for touchdowns. During the month, the Eagles allowed an NFC-low 238.5 yards per game. In Week 17 against Dallas, in a game that would decide the final playoff team, Dawkins had nine tackles, a sack and two forced fumbles. Both forced fumbles were returned for touchdowns (CHRIS CLEMONS, 73 yards and JOSELIO HANSON, 96 yards) as the Eagles became the first team in NFL history to have two fumble-return touchdowns of at least 70 yards in the same quarter. Dawkins’ seven Pro Bowl selections are tied with Pro Football Hall of Famer REGGIE WHITE for the second-most by an Eagle (Pro Football Hall of Famer CHUCK BEDNARIK, eight). In his 13th year from Clemson, this is Dawkins’ second career Player of the Month Award (December 2006). He is tied with defensive ends WILLIAM FULLER (December 1995 and December 1996) and HUGH DOUGLAS (October 1998 and September 2000) for the most Defensive Player of the Month Awards in franchise history. Who is the biggest train wreck in popular culture today? Lindsay Lohan, Britney Spears and Paris Hilton are always good guesses but, while the meth-pack is always interesting water-cooler fodder, mildly entertaining, and good for a nice wardrobe malfunction every couple of weeks, they have really toned it down in 2008. That opens quite the void for the human flotsam making their living as TMZ paparazzi. I just hope Charles Barkley doesn't fill it. Barkley has always struck me as a guy teetering on the brink. His basketball resume is without peer. "Sir Charles" retired as one of only four players in NBA history with 20,000 points, 10,000 rebounds and 4,000 assists during his 16 seasons with the Philadelphia 76ers, Phoenix Suns and Houston Rockets. Barkley was the NBA's Most Valuable Player in 1993 and the best player of the original Olympic Dream Team. He also was selected as one of the NBA's 50 greatest players in 1996 and enshrined into the Naismith Basketball Hall of Fame in 2006. All that was secondary to his engaging personality, however. If Barkley wasn't a basketball star, he could have been the world's best stand-up comedian. It was his unmatched wit that made his a star as an NBA analyst on TNT and a go-to-guy for virtually every national talk show when they needed a sound bite on the hot topic of the moment. Many even speculated Barkley would eventually run for Governor in his home state of Alabama. But, Chuck has always courted controversy. There was the spitting incident in New Jersey, the throwing of a patron through a window at a Milwaukee bar and his famous "I am not a role model" Nike commercial. Most recently, Barkley sparred with Cleveland Cavaliers superstar LeBron James, telling "King James" to shut up instead of discussing his options when he becomes a free agent in 2010. James responded by calling Barkley "stupid." Barkley is certainly a lot of things but stupid isn't one them. That's why I don't understand why Barkley can defend losing millions of dollars on casino gambling by saying he has the money and doesn't plan to stop. I don't understand why Barkley, by his own admission, carries a registered loaded gun in his car at all times. And I sure don't understand why Barkley was arrested for driving under the influence in suburban Phoenix early Wednesday morning. In 2005, Barkley released the book "Who's Afraid of a Large Black Man? ", which was a collection of interviews with leading figures in entertainment, business, sports, and government. If he wasn't penning the book, Barkley might have been one of the first people featured. I hope it always stays that way. Watching a celebrity fall from grace seems to be a cottage industry in America today. Here's hoping "Sir Charles" starves the feeding frenzy. The MLB Network officially kicks off Thursday at 6 p.m. (et) with its Hot Stove Live show. At 7 p.m., they will show Don Larsen’s perfect game in the 1956 World Series against Brooklyn. There will be commentary from Larsen and Yogi Berra. Martin Biron stopped 29 shots, 11 in the third period alone, as the Philadelphia Flyers extended their unbeaten streak in Vancouver to 14 games over nearly 20 years, edging the Canucks, 3-2, at GM Place. The Flyers have not lost in British Columbia since a 5-3 setback at Pacific Coliseum on January 17, 1989, posting 10 wins and four ties over that span. The club also improved to 7-0-1 at GM Place since its opening prior to the 1995-96 season. Jeff Carter, Scott Hartnell and Jonathon Kalinski hit the net for the Flyers, who overcame the early loss of forward Simon Gagne to snap a two-game losing streak. Daniel Sedin and Ryan Kesler tallied for the Canucks, who have lost three of their last four games. Starter Curtis Sanford allowed two goals on nine shots in 20 minutes of play, then Cory Schneider finished the game strongly, allowing one goal on 20 shots. Facing a one-goal deficit, the Canucks dominated for stretches of the third period. Biron kept the home team at bay with a half-dozen quality saves in the first 10 minutes. Hartnell had a clean breakaway with seven minutes remaining, but Schneider managed to get his pad extended to stop the shovel shot from the crease. Biron then came up with a huge glove save on Steve Bernier with 6 1/2 minutes remaining, stoning the forward from the edge of the crease. Schneider was pulled for an extra attacker with 1:20 remaining and Mike Knuble was penalized for slashing with 20 seconds left. Despite the 6-on-4 advantage, Philly won several key faceoffs and didn't allow any quality chances as time ran out. Gagne departed only 15 seconds into the contest with an upper body injury, the victim of a questionable hit from Canucks defenseman Kevin Bieksa and did not return. Unbowed, the visitors took a 1-0 lead as Carter upped his league-leading goal total to 27, converting a pass from Matt Carle into a backhander past Sanford at 3:16. Sedin countered with a power-play wrister with 3:06 left in the first, sneaking a shot off Biron's shoulder and under the crossbar. Hartnell restored Philly's lead 45 seconds later, unloading a slapshot from the left circle high and inside the right post. Schneider spelled Sanford to start the second but the move didn't pay off as Kalinski picked up his first career goal 2:36 into the second period, tapping home an errant Josh Gratton pass from the slot. The Flyers kept up the offensive pressure but couldn't add to their cushion. Kesler's redirection of an Alex Burrows dish from the left circle brought Vancouver within 3-2 with just over eight minutes left in the frame. The Vikings sold more than 6,000 tickets to the NFC Wild Card Playoff matchup with the Philadelphia Eagles this Sunday since yesterday. That means more than 13,000 remain. If you want to make the trip prices for this game range from $30-160, and fans are encouraged to visit www.ticketmaster.com (open 24 hours a day) to purchase. Fans can also call Ticketmaster at (651) 989-5151 or toll free at (800) 745-3000. The Eagles' exact position in the draft won’t be settled until they are through playing for the season but right now they are slotted to pick 22nd and 28th in April's draft. Here is the entire list of NFL.com. Remember playoff teams are subject to change. The Super Bowl champion will pick 32nd and the runner-up will pick 31st. The Detroit Lions, coming off an 0-16 season, will draft first. They will be followed by No. 2 St. Louis (2-14); No. 3 Kansas City (2-14); No. 4 Seattle (4-12); No. 5 Cleveland (4-12); No. 6 Cincinnati (4-11-1); No. 7 Oakland (5-11); No. 8 Jacksonville (5-11); No. 9 Green Bay (6-10); No. 10 San Francisco (7-9): No. 11 Buffalo (7-9); No. 12 Denver (8-8); No. 13 Washington (8-8); No. 14 New Orleans (8-8); No. 15 Houston (8-8); *No. 16 San Diego (8-8); No. 17 New York Jets (9-7); No. 18 Chicago (9-7); No. 19 Tampa Bay (9-7); No. 20 Detroit (from Dallas), *No. 21 Arizona (9-7); No. 22 Philadelphia (9-6-1), No. 23 Minnesota (10-6); No. 24 New England (11-5); No. 25 Atlanta (11-5); No. 26 Miami (11-5); No. 27 Baltimore (11-5); No. 28 Philadelphia (from Carolina); No. 29 Indianapolis (12-4); No. 30 New York Giants (12-4); No. 31 Pittsburgh (12-4); and No. 32 Tennessee (13-3). The two most vilified members of the Eagles organization -- coach Andy Reid and quarterback Donovan McNabb -- are the reason the Eagles will win in Minnesota, an NFL scout told The Phanatic Magazine Monday night. "The Vikings are a very talented team that doesn't have a leader on the field or on the sidelines," the scout said. Asked to compare the teams, the scout gave the edge to the Vikings on offense by a startling 8-3 margin. Only quarterback Donovan McNabb, rookie wide receiver DeSean Jackson and right tackle Jon Runyan were better than their counterparts in Minnesota. McNabb and Runyan were rated significantly better than their peers with the Vikings, Tarvaris Jackson and Ryan Cook. On defense, it was similar with the Vikings holding the edge at six positions, the Eagles taking just two and three considered even. The scout also gave Brad Childress' club the edge at punter and placekicker but indicated the Eagles have better coverage teams and a much more accomplished coach. Coaching and special teams - Big edge to Eagles. To end the calendar year 2008, this edition will solely feature what I imagine could be the New Year's Resolutions/New Year's Needs for all 30 NHL clubs. sample of celebrity fans other than Cuba Gooding, Jr. and Snoop Dogg. for a public bonfire for those hideous third jerseys. is finally giving long-suffering fans a real reason to give a damn again. creatively stash away enough money to get Chris Drury, Danny Briere, J.P.
Dumont, Dmitri Kalinin and Jay McKee back. Iron Mike Keenan after Game 82.
to see how many more former Philadelphia Flyers team can stock on roster. 50 degrees and drizzly on New Year's Day. statue to be placed outside Pepsi Center. blame everyone from the Commies to the CIA. of South Florida, place new arena in middle of Everglades. play choking defense. We will never win unless we learn to score. it'll take the shame away from all the losing. goaltending in the masses of empty seats at each home game. Inquirer have, because the stains ain't coming off too easily. selves that they can't win by trying to score exactly two goals a game. this season but if six of them are against Toronto all is forgiven. them from penniless frat guys trying to score with their girlfriends. flames of hatred for you and the organization. of Paul Blart: Mall Cop and a group hug. Looks like they really need it. Tampa Bay: Contraction, then hit the beach and the strip clubs. colors for jerseys; find better jerseys. (651) 989-5151 or toll free at (800) 745-3000. The Minnesota Vikings offense finished the season ranked 17th overall while the defense was sixth, the highest since the 1994 season. The Vikings pass offense, though, was just 25th and the run offense was fifth. The Vikings pass defense was 18th -- the highest since 2001 -- and the run defense was first for a third consecutive season. Meanwhile, the Eagles finished the season as one of the league's most balanced teams. The offense was ninth overall, while the defense was third. QB Tarvaris Jackson - Think DMac is inaccurate? Watch this guy. 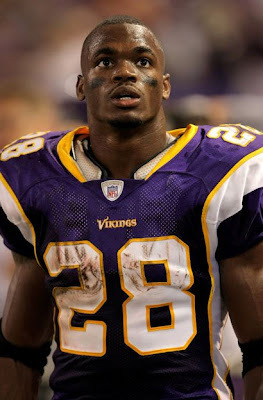 RB Adrian Peterson - Best pure runner in football. RB Chester Taylor - One of the better third down backs in football. FB Nafu Tahi - Good blocker; little threat as an outlet receiver. LG Steve Hutchinson - Best guard in pro football. LT Bryant McKinnie - Can struggle with speed rushers. OC Matt Birk - Six-time Pro Bowler is not quite what he used to be. RG Anthony Herrera - Road-grader in the running game. RT Ryan Cook - One of the worst tackles in football; Eagles need to exploit him. WR Bernard Berrian - Big play machine, averages over 20 yards a catch. WR Bobby Wade - Good from the slot; not much of a threat on the outside. WR Sidney Rice - 6-foot-4, red zone threat. TE Visanthe Shiancoe - One of the most improved players in the NFL; good dual-threat tight end. TE Jim Kleinsasser - One of the better blocking tight ends in the NFL. RDE - Jared Allen - One of the top pure pass rushers in football. 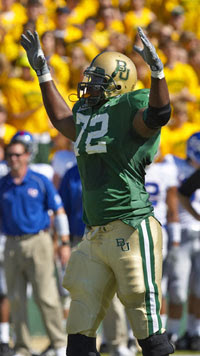 DT - Kevin Williams - Best two-day DT in NFL. NT - Pat Williams - Key to the Vikings No. 1 run defense. Has been out with a broken scapula but says he wants to play. Watch the injury report. LDE - Ray Edwards - Underrated but banged-up. DT - Ellis Wyms - Inside pass rusher on nickel downs. DE - Brian Robison - Good edge pass rusher. SSL - Chad Greenway - Former first round pick is a very good all-around linebacker. WSL - Ben Leber - Took over calling the defense after EJ Henderson got hurt. Another good all-around 'backer. LC - Antoine Winfield - Pro Bowler, best tackling corner in the game. Can be beat on double moves. RC - Cedric Griffin - Weak link of the Vikings defense. FS - Madieu Williams - Excels in pass coverage. SS - Darren Sharper - Veteran centerfielder; can take bad angles. NB - Benny Sapp - Overaggressive, penalty prone. The NFL has released its schedule for the first round of the playoffs and the Minnesota Vikings will play host to the Eagles at 4:30 p.m. (et) next Sunday. Atlanta will play at Arizona at 4:30 p.m. Saturday on NBC and Indianapolis will play San Diego game at 8 p.m. on the same network. CBS will carry the Baltimore at Miami game at 1:00 p.m. next Sunday and Fox will air Eagles-Vikings. Former Phillie Mitch Williams will become an analyst for the Major League Baseball Network, which launches in 50 million homes on January 1. "The Wild Thing" talked baseball for Comcast SportsNet, WIP 610-AM and The Big Talker 1210-AM last season. Others on the new television network include Barry Larkin, Joe Magrane, and Harold Reynolds. Williams becomes the second Philly broadcaster to get picked up by MLB. The late John Marzano worked for mlb.com before his untimely death in April of 2008. Multiple media sources are reporting the death of former UFC and EliteXC fighter Justin Eilers. Eilers was shot on Christmas Day during a domestic dispute. 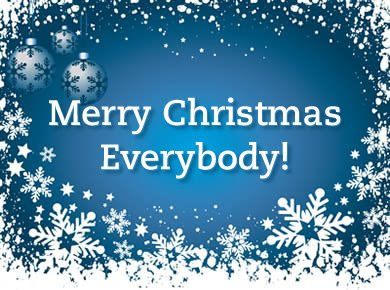 According to Sherdog.com's Loretta Hunt, Eilers was celebrating Christmas in Canyon County, Idaho with relatives and friends, including his ex-girlfriend. There was an ensuing argument and Eilers was asked to leave the residence. He reportedly refused and began throwing objects, including dishes. James Robert Malec, 48, believed to be Eiler's mother's boyfriend, then pulled a gun and shot Eilers in the chest. Monty Cox, Eiler's long-time manager, told Hunt that the bullet entered Eiler's lung and exited his body. Malec has reportedly been charged with second-degree murder. Eilers career MMA record was 19-7-1. He was last seen in July on SHOWTIME losing the EliteXC heavyweight title match in Stockton, Calif. to Antonio "Giant" Silva. The Boise native had four UFC fights from 2004-2006. He debuted by beating Mike Kyle at UFC 49 but then suffered three straight losses, to Paul Buentello, Andrei Arlovski and Brandon Vera. On Wednesday Dec. 17, former UFC fighter Justin Levens, who was also a member of the Southern California Condors of the International Fight League in 2007, was found dead along with his wife, Sara, from gunshot wounds at a condo in Laguna Niguel, California on Wednesday. Local police called it a murder/suicide. Both were found by Sara's mother on the bed. Levens, 28, a protege of Marco Ruas, the coach of the Condors, had a 9-8 pro MMA record including UFC losses to Evan Tanner, who died earlier this year after getting lost in the California desert, and Jorge Santiago in 2006. Eagles middle linebacker Stewart Bradley told The Phanatic Magazine he expects to play in Sunday's regular season finale against the Dallas Cowboys. The banged-up Bradley is listed as questionable on the injury report with rib and groin injuries. ..if you are a Birds fan this weekend. The Giants will probably handle the Vikings and the Texans might even beat the Bears but the Raiders over the Bucs? Even the Eagles locker room doesn't believe that one. "I pray for those guys and the situation they are in," a former Raider told The Phanatic Magazine. "If i know those guys, they have already packed their stuff and are getting ready to mail it in,"
MMAfighting. com reports that Eddie Alvarez's first opponent of 2009 will be ZST, Rings and UFC veteran Naoyuki Kotani at Extreme Challenge on Jan. 23 at the Tropicana Hotel & Casino in Atlantic City. Alvarez is currently ranked number two in MMAFighting.com's list of the top lightweights in the world. Alvarez (15-1), a Kensington native, is also scheduled to fight Shinya Aoki at "Dynamite!!" on New Year's Eve in Japan. After Kotani, Alvarez will then compete in the Bellator Fighting Championship tournament on ESPN Deportes. Kotani (18-8-6) won last month against Olympic silver medalist in Greco-Roman wrestling Katsuhiko Nagata by heel hook submission at the ZST sixth anniversary show. Kotani has not been able to of late match the success that he attained in the early 90s, however. Kotani first tasted defeat against Rich Clementi at the finals of the ZST 2004 Grand Prix and since then, has only won six out of his next 17 fights. Kotani debuted for the UFC in 2007 losing twice to Thiago Tavares and Dennis Siver. Alvarez last fought in Atlantic City on Jan. 25, 2008 when he bested Ross Ebanez in the main event of EliteXC's ShoXC Elite Challenger Series on SHOWTIME at the Trump Taj Mahal. Philly TV and Radio gossip Laura Nachman has backed off of previous reports regarding WIP providing fellow CBS station KYW weekend sports updates. part-timers, will lose hours but will continue working. likely continue reporting from Sixers and Eagles games. Also, Tom Maloney will continue to report on Flyers and Phillies games. 19. Chicago Malcolm Jenkins CB Ohio St.
29. Pittsburgh Derrick Williams WR Penn St.
LANDOVER, MD. -- While switching between the Eagles’ team bus and the train following Sunday’s devastating loss at Washington, a big, fat Redskins fan that worked for Amtrak stood by heckling the team. “We got y’all twice this year,” the redneck beckoned, among other things I don’t feel like typing right now. And no one, including yours truly, could do anything about it. However, I certainly wanted to and my co-workers saw it. One of them had to pull me away from endangering my job, because I wanted a piece of that SOB. About 25 minutes earlier, I was standing to Brian Dawkins’ right as he faced the media after the 10-3 loss to the Redskins at FedEx Field. Dawkins, to say the least, was despondent. This is a man that commands respect. Right after the game, a game in which he did everything he could in his power to will his team to victory, Dawkins sat in his uniform at his locker in tears. He always has the last press conference, but this time he took longer than he ever had to reach the podium. While he stood there, as composed and as strong as ever, B-Dawk said exactly how he felt. He didn’t care what else has to happen for the Eagles to get in the playoffs. They had a chance to grab the bull by the horns but instead they were gored. Earlier during the game in the third quarter, Dawkins ran onto the field prior to another second-half possession. The offense was about to embark on another drive that began inside the Eagles’ 10-yard line, but Dawkins ran up to each player and butted helmets, slapped five and shouted motivation, trying to provide a spark to an otherwise stagnant game. He’s still the undeniable leader of this team. But his time here is slowly, or perhaps not-so-slowly, dwindling to an end. Last night in the bowels of FedEx Field, it seemed like Dawkins looked into the lights at the end of his proverbial tunnel, perhaps for the first time. His time is running short and imagining him in another uniform is too foreign to even consider. Dawkins is a life-long Eagle – he doesn’t want to go anywhere else. He wants to win here. But after losses like the one in D.C. on Sunday, it’s easy to think that it’s just not gonna happen here while Dawkins is still running out of the tunnel on game day. This isn’t like when Charles Barkley was traded to the Suns. He bitched and moaned his way out of town. Dawkins would never do that. Not in a million years. That’s what makes this so heartbreaking. We are watching football greatness defined in almost every way but one and that’s with a Super Bowl championship. After watching Dawkins’ reaction following the season-imperiling loss to the Redskins yesterday, that’s the only way a player like Dawkins would like to be defined. A player of his caliber deserves nothing less. The NFL utilizes “flexible scheduling” on Sundays in Weeks 11-17. Flexible scheduling ensures quality matchups in all NFL Sunday time slots in those weeks and give teams a chance to play their way onto primetime and into the late-afternoon 4:15 PM ET time slot on CBS and FOX. On the NBA: "The Unknown Superstar"
AFL on its last legs?